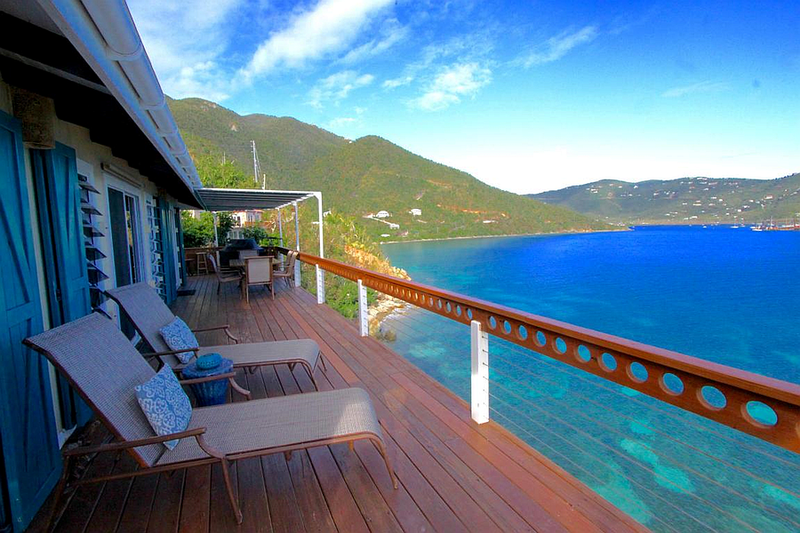 A Coral Bay waterfront Villa with Big Views from every room. Dramatically perched 60ft over the calm Caribbean Sea, ‘Cliffhanger’ presents stunning views across to Coral Harbor and into Hurricane Hole. ‘Cliffhanger’ is ideal for couples and perfect for families with children over 8, as it comfortably accommodates up to 6 guests, with its 3 air-conditioned bedrooms and 4 bathrooms. 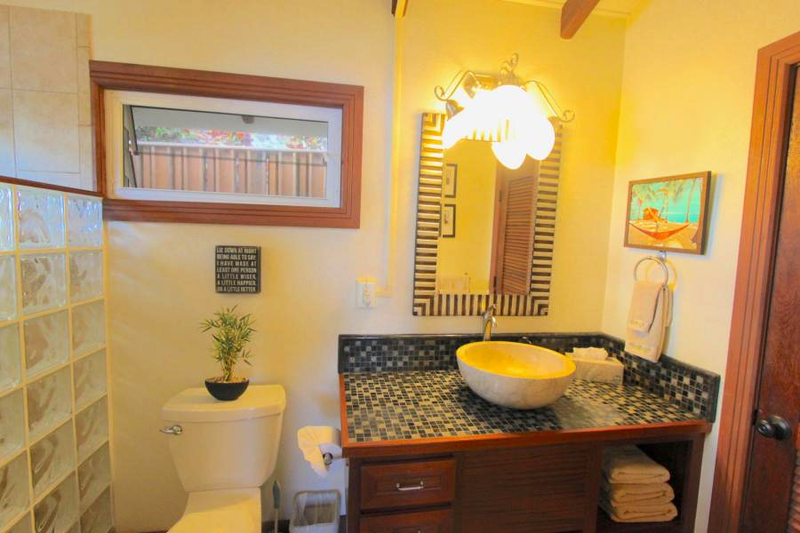 Professionally decorated, this waterfront villa offers everything; a modern full kitchen with all the amenities, bathrooms with stunning detail, and comfortable furniture, and electronics. 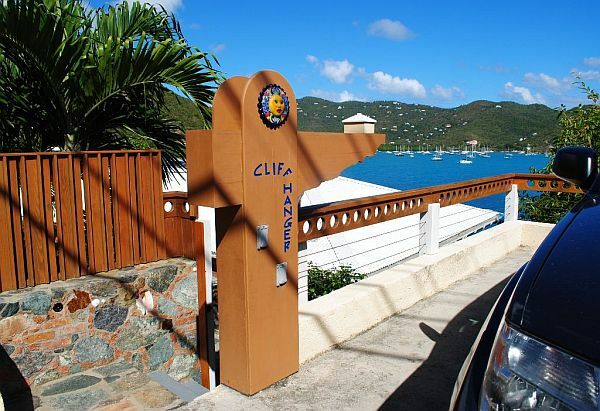 Conveniently located with paved access to the front door, high speed internet, cable TV, soft linens, spacious decks both in the sun and in the shade, ocean views from every room, and lush outdoor environment; these are but a few of the features that make ‘Cliffhanger’ the perfect choice for your St. John vacation. 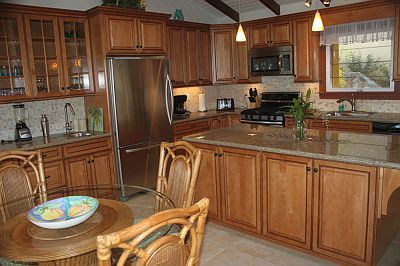 A modern full kitchen with all the amenities. 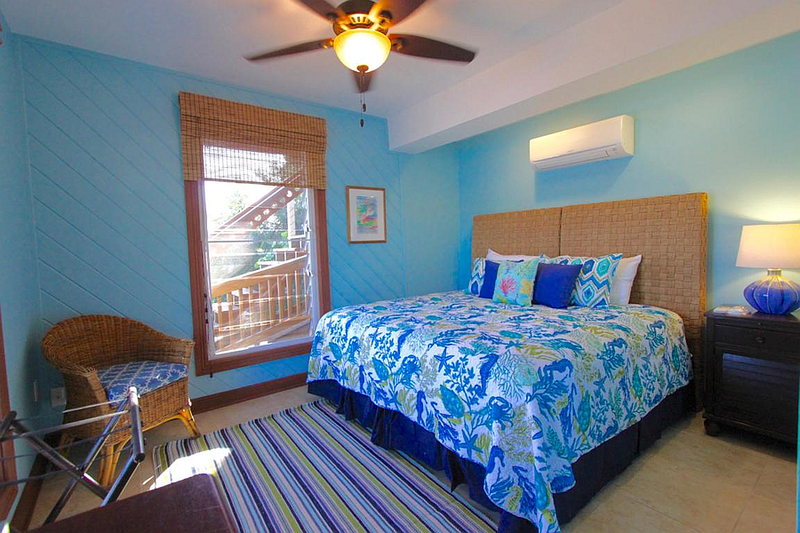 The master bedroom, kitchen, extra bathroom and living space is located on the main level. 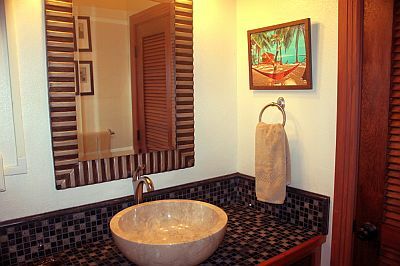 One of the 4 lovely new bathrooms. 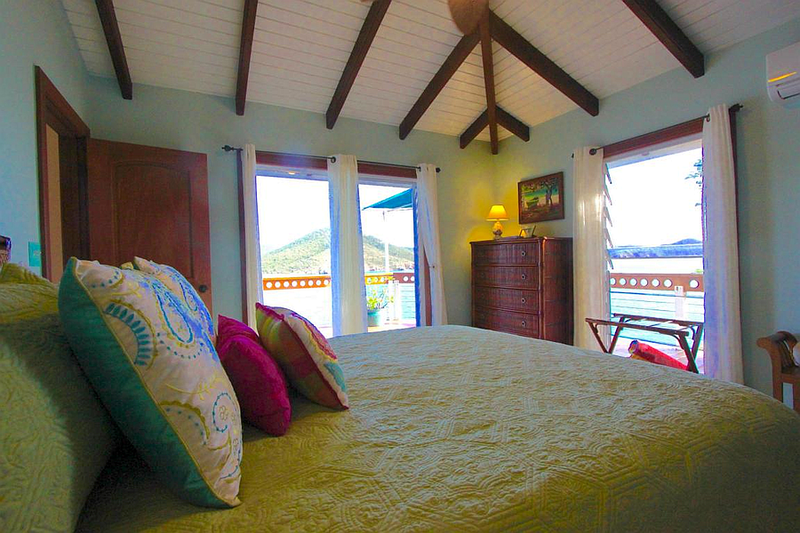 The other two bedrooms, each with their own entrance off the lower deck, can be reached via an exterior staircase. 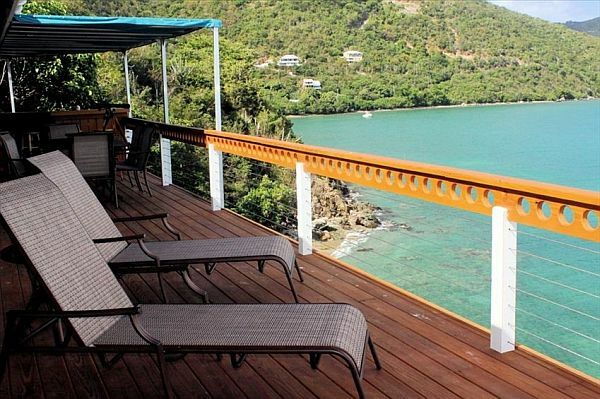 Wake up to amazing views. Gaze into the mesmerizing blue and watch boats from all parts of the globe as they glide through the turquoise waters of Coral Bay Harbor. 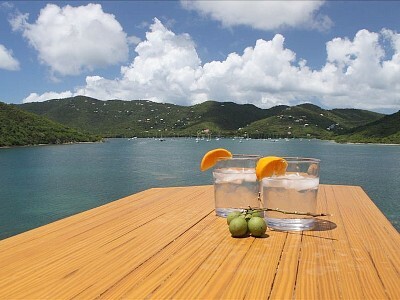 Spot turtles and sting rays from the sprawling dramatic deck while mixing drinks at the outdoor bar. Cheer on sailboat races from the comfort of your hammock. 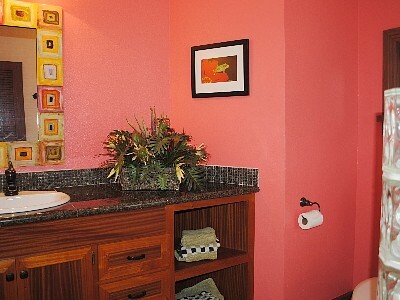 •Rates are based on Double Occupancy, Additional rates apply for parties of 3 or more. 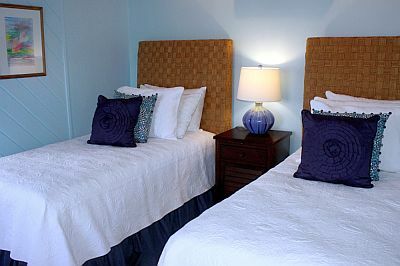 Holiday rates apply for Christmas, New Years and President’s week. •Holiday dates subject to change. •A 12.5% VI hotel tax applies to all stays. •Additional fees apply to credit card bookings. •A 50% deposit is required to secure your reservation. The remaining balance, plus a fully refundable damage deposit of $500, is due 60 days prior to your arrival. Cancellations: All payments are fully refundable, less a 10% administration fee, if we are able to re-rent the villa during your booking period. Naturally, we will always do our utmost to help fill dates that must be canceled. We suggest you purchase trip insurance to mitigate any unforeseen cancellation, especially during hurricane season. 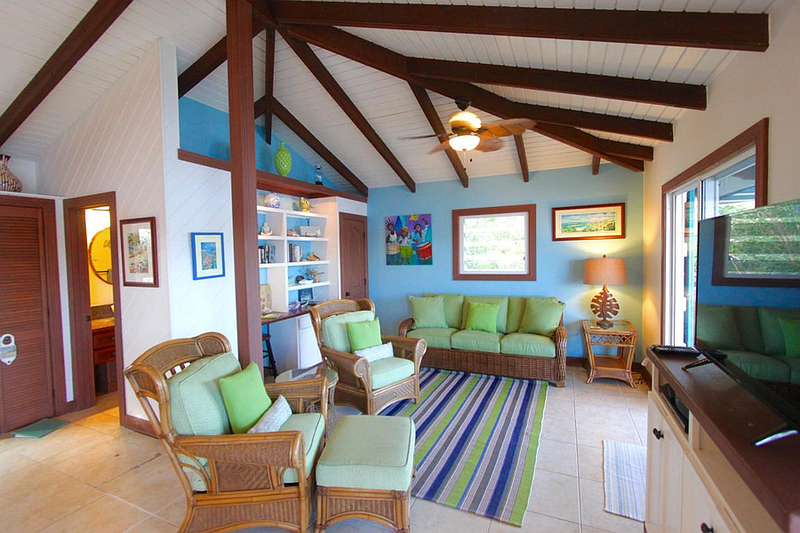 Located waterfront to Coral Bay. 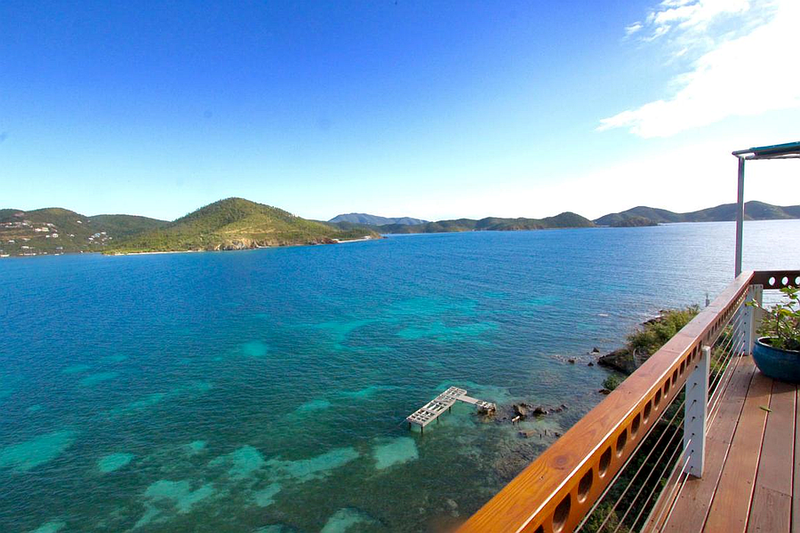 ‘Cliffhanger’ is located waterfront to Coral Bay with surf sounds around the entire property. 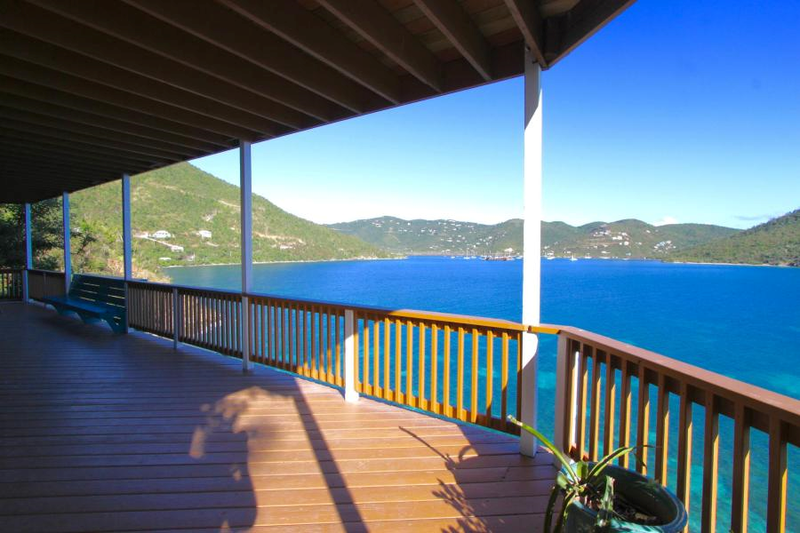 From the villa you can easily access the Virgin Islands National Park and white sand beaches for hiking, water sports such as sailing, snorkeling, or diving, or just plain lounging on the beach. The Village of Coral Bay is just under 1/2 mile away, with many shops, restaurants, bars, and access to an array of adventurous activities. 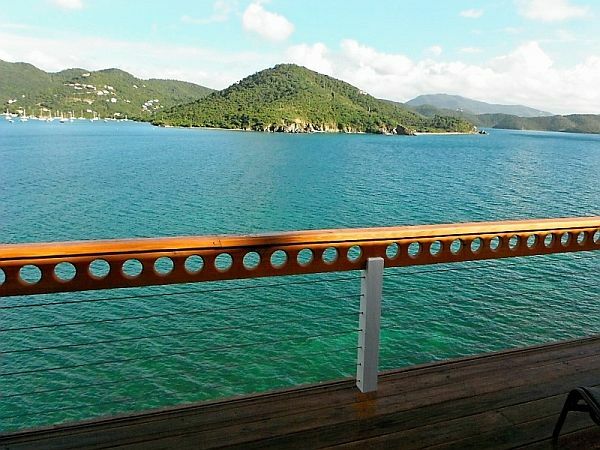 The still-pristine island of St. John is the smallest of the three U.S. Virgin Islands and lies just 3 miles east of St. Thomas and a mile from the nearest of the British Virgin Islands. Nearly two-thirds of the island is national park, with forests and nature trails for your enjoyment. Nature lovers will be amazed by St. John’s ecological diversity.